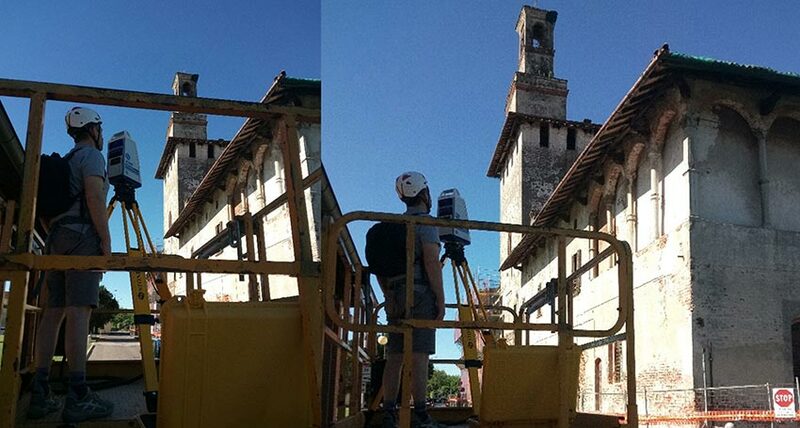 “Since we started using X300 the geometrical survey of historical buildings by laser scanner is for us a common practice. The preliminary outcome is a numerical 3D model, usually of walls. The addition to it of a photographic survey gives a realistic picture of the building, very useful both for the evaluation of the actual situation and for design purposes. 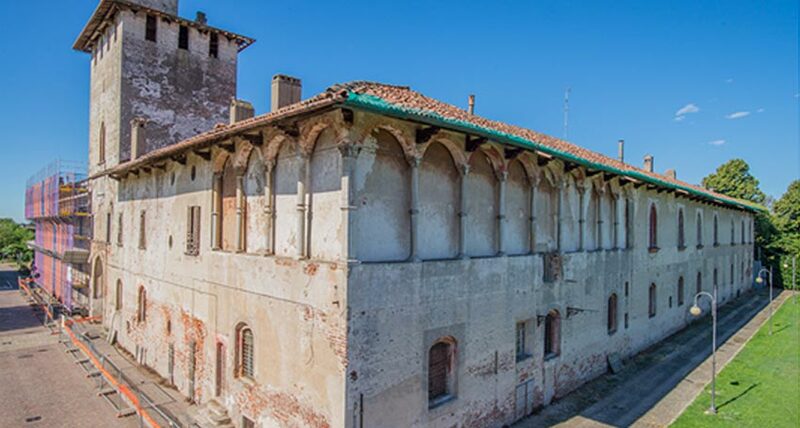 In our most recent project we have applied this procedure to a 15th century historical building near Milan (Italy) which was abandoned for more than one century and now is in a process of renovation. X300 proved to be crucial to survey very dusty and at times risky areas of the building. One portion of the building required a special attention: a long sequence of columns/arches at the first floor of an external façade, cladded by a thick masonry wall at its back. In this way, the internal hall is completely blind. In the absence of any historical justification for this “oddity”, one may guess that an open “loggia” was originally there, and the wall was added later, perhaps for static reasons. Actually, many of the stone columns show now cracks and open joints. Obviously, the renovation of the building requires the opening of the “loggia”. Any design for this should comply with two requirements: 1) to be in accordance with the original architectural shape of the monument and 2) to be statically acceptable. 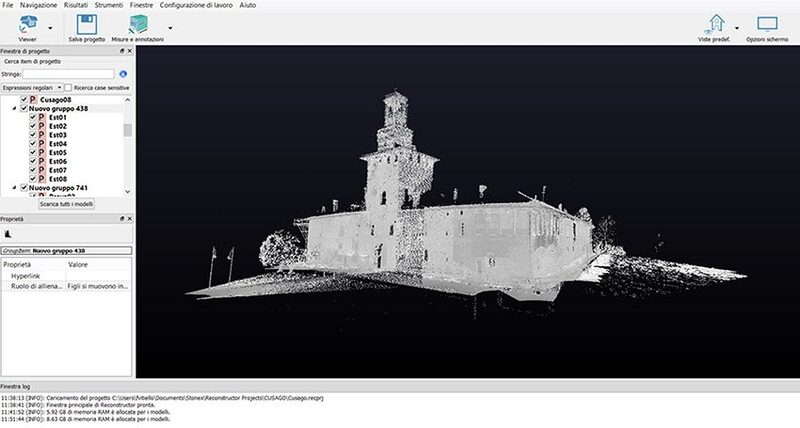 To show how we could reach the first result, we (numerically) eliminated the wall in the already obtained 3D model. Then we added to it several alternative 3D models of (structurally acceptable) steel structures. The final choice was based only on aesthetic reasons, but the selected solution was immediately ready to be built with a CAD-CAM procedure.